What are the initial job opportunities? 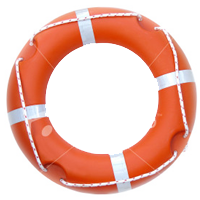 Is the STCW 2010 included in the course? Is the academy recognised and approved by the MCA? Will the academy guarantee me a job? What will give me an advantage in getting a job? How safe and respectable is the industry? PARENTS - Is this a good option for your child? 1. What parts of the world are the best locations to look for work? The northern hemisphere has the vast majority of the large private yachts and charter boats. About 80% of these are concentrated in the Caribbean, Miami, and Fort Lauderdale area but there is no shortage of opportunities in the likes of the Mediterranean and Whitsunday's with Alaska having experienced a recent boom in boating activity. The industry in general is going through a period of very rapid growth with seasons determined by summer, winter, hurricanes and weather in general. Career yacht crew often move between the Med and Caribbean according to the season, or work on off-season maintenance tasks or simply go on holiday and tour a little. The most common language spoken is English but fluency in languages like French, Spanish and German can only be an advantage especially in Europe. 2. What are the initial job opportunities? As with all careers, everyone starts at the bottom of the ladder. The typical first job is to do the menial physical cleaning tasks. Walking the docks in search of that all-important first chance is frustrating, hard work in itself but tenacity and the ability to handle disappointment will be rewarded. This experience alone is a great eye-opener for young South Africans. People who create the right impression while cleaning and polishing will earn around $10 to $15 an hour for a 5 to 10 hour day. 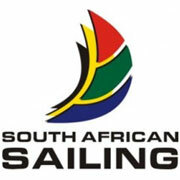 They can expect to be recommended for other work, which will lead to the ultimate of being signed on as a crew member. In other words, the way you handle your first job will get you the next one. 3. Is the STCW 2010 included in the course? Without this you won't get a job - not a legitimate one at least. 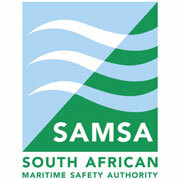 This is a safety course that anyone who wishes to work on a sea going vessel has to complete. It's a legislated requirement by the International Maritime Organization and you need it whether you are going to work on an oil rig or the fanciest megayacht in Monte Carlo. Some academies will suggest it as an add-on at the end of the course. Demand that it is included up front because it is essential. 4. Is the academy recognised and approved by the MCA? 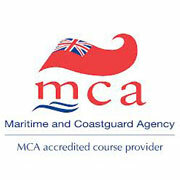 The MCA is the Maritime and Coastguard Agency, a worldwide body that sets the standards and monitors the training of ALL PROFESSIONAL ACADEMIES throughout the world. 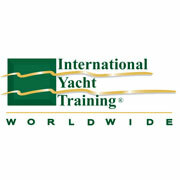 RYA, IYT and SAS are sailing organizations that administer recreational sailing training. Only an MCA recognised Certificate of Competency will qualify you to legally work as a deckhand and stand a bridge watch. 5. Is it hard work? Yes. The reality is this is a job and not a holiday and it is a very disciplined industry. Also, like any job in any profession, you will be starting at the bottom of the ladder and you will come across clients and colleagues that are extremely demanding and others that are a real pleasure to be with. However, the benefits are immediate (earn $ fast) and enduring (see the world and build up hundreds of travel stories to tell your friends and family). 6. Will the academy guarantee me a job? Some schools will tell you that you will walk into a good job. This is highly unlikely. You will start at the bottom, no matter how good looking, skilled, talented, charming or entertaining you think you may be. So, the short answer here is, no academy can guarantee you a job. However, because PYT principals and instructors (and only those at PYT in SA) have first hand knowledge of the major megayacht industries through regular annual visits to the major events in the Med, the United States and the Caribbean, we will give you some tips to give you the best chance of making a flying start. 7. What will give me an advantage in getting a job? We like the way you think by asking this question - so that's a good start. Having extra skills that are useful on board and will make for a better experience for the charter guests/owners will make you much more marketable.
" help out in the water, say assist in scuba diving, wakeboarding, waveskiing, sailboarding, waterskiing;"
provide therapies such as manicures, pedicures, massages, aromatherapies, make up;"
then all of these will make you more valuable than someone with none of the above. Of course, being the hospitality industry, it is essential to have social skills and graces, be cultured, have good upbringing and good manners. 8. How important is mileage? 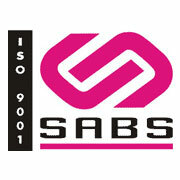 Mileage only becomes important once you have some experience in the industry. Some sailing schools will attempt to lure you with the promise of extra sailing - but remember, you are paying for this time and the money would be better put to use paying for your STCW 2010 safety and other relevant courses. Your first need for mileage comes at least a year down the track when you are contemplating attempting your MoY Limited (Offshore) Certificate of Competency.There is a mileage requirement for this qualification and the ideal solution to the mileage problem is to obtain this experience while employed. At the basic level you need to go overseas with the training required to get a job (4 week course) and do not squander your financial resources on courses that are not necessary to achieve this end. 9. How safe and respectable is the industry? See it as the 7 star boutique hotel industry on water and crewing on these luxurious boats ("ships" may be a better description) is as highly regarded as working in a top hotel. In all the European Union, Caribbean and United States areas the industry is highly regulated and licensed and skippers and owners respect the law. Any vessel found with any form of contraband or illegal substances will immediately lose its licence and could mean serious confiscation of property (who wants to have their 300 foot multi-million mega-yacht seized by customs officials while they're trying to enjoy the sunset with a bottle of Bollinger?). In fact, they take it so seriously that as a crew member you probably will have to unpack all your belongings for scrutiny before boarding to check you're legal. Should your parents be concerned about the respectability of this glamorous industry - bring them along to chat to owners Keith Stewart and Colin Schwegman. Both have family with successful careers on mega-yachts overseas and will quickly put them at ease. 10. PARENTS - Is this a good option for your child? There are many good books that compare the traditional career path with a more progressive and contemporary approach to working and life. One of the better known is Robert Kiyosaki's bestseller Rich Dad, Poor Dad which not only covers this subject, but primarily offers highly valuable and very practical solutions to creating and managing financial wealth. A key message in his book is that one is never too young to begin building an asset base (he started at about 15) so that one is in a position to identify and jump at opportunities when they come along. Doing a basic crew course at PYT is probably one of the best springboards to do so. Within a year, one can have qualified, learnt new life and social skills, developed and matured, earned enough to pay for one's tuition, flown home on holiday and saved enough to buy one's first property or start a small business in SA. Not to mention that all this is being achieved in some of the most popular and glamorous destinations around the world, in a highly respectable industry! In the meantime, one's peers will have completed only one year of tertiary education.